Ending out the year with one last poster, this time for Hero Complex Gallery’s John McTiernan art show. 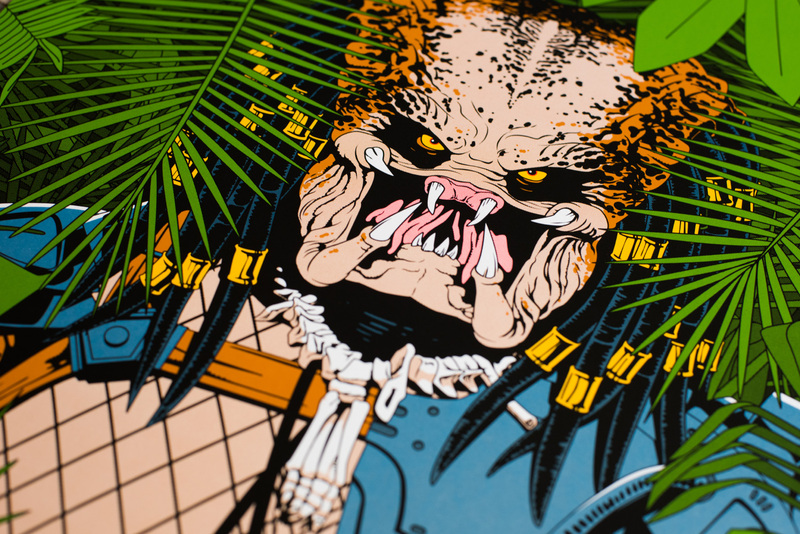 We were able to choose any of his movie to do a piece for, and I instantly got this idea for one of my favorite movies, Predator. The screen print incorporates the use of halftones for color variation, red fluorescent ink and also a custom blue metallic ink, all beautifully printed by Danny Askar. You can grab one online at the Hero Complex website. Another year down. I hope everyone has a good 2017, which had to be one of the most ridiculous years yet. Lets hope 2018 is better!